Logan Paul has been able to make the transition from short video hosting application, Vine, to making a name for himself in films and series in Hollywood. Most notably, he appeared in ‘The Space Between Us’ (2017), episodes of ‘Law & Order: Special Victims Unit’, and ‘Weird Loners’. Paul, who is also a director, screenwriter, and rapper, is currently working out to become a white collar boxer. Yeah, he wants to join the league of men and women from different white-collar professions with no prior boxing experience who trained to fight in special events. From the basic facts of his bio to his net worth and the speculations about his death, here’s everything you need to know about Logan Paul. Paul was born Logan Alexander Paul to Pamela Ann Stepnick and Gregory Allan Paul on April 1, 1995, in Westlake, Ohio, U.S. He is said to be of English, Irish, Scottish, Welsh and Jewish ancestry. Logan attended Westlake High School where he played both American football and Wrestling, notably qualifying for the individual championships at the 2013 Ohio High School Athletic Association games. However, before even attending high school, Paul, at the young age of 10, created a YouTube channel called Zoosh where he posted videos. The channel had grown to have a few thousand followers when Paul enrolled at Ohio University to study Industrial Engineering before he later dropped out to pursue a career as an internet personality. Paul, who was just 19 years of age, subsequently moved to Los Angeles and joined forces with other internet/social media personalities. His Vine videos brought him some fame as he amassed over 3.1 million followers on all his social media platforms. In 2015, he began earning several thousands of dollars from advertisement revenue and was ranked as the 10th most influential figure on Vine. That same year, he made his first appearance in a major production, ‘Law & Order: Special Victims Unit’ before later showing up in ‘Weird Loners’, and ‘Stitchers’. The following year, he went on to train with established drama coaches in order to land a leading role in a movie. He also trained with a few comedy troupes as he upped his comedy skit game. Logan Paul went on to write the adult comedy, ‘Airplane Mode’ which is to be released sometime in 2018 and has starred in ad campaigns for HBO and PepsiCo, among others. In 2017, following the cutting of his scenes in the movie Baywatch, Paul did a number of video sketches with Dwayne “The Rock” Johnson, notably one in which The Rock notifies Paul that he was cut from the movie before going ahead to make him a Baywatch movie ambassador. 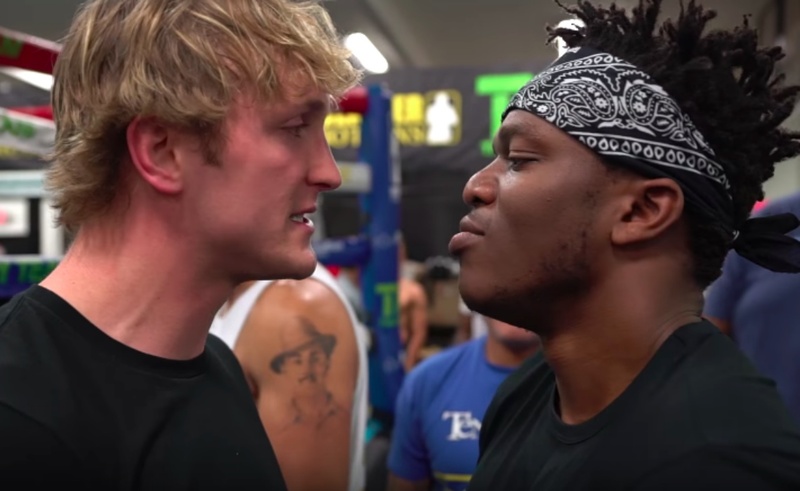 He is also slated to fight British YouTube personality JJ Olatunji, who is better known as KSI, in a white collar amateur boxing match having already fought Joe Weller. Logan Paul is very much alive despite him being involved in several life-threatening stunts, one of which has left him with a damaged right testicle. He was also in the news over a suicide incident in Japan after he found and posted a video of a dead man who had supposedly taken his own life in Aokigahara, a place dubbed the suicide forest, at the base of Mount Fuji. The video was met with uproar from viewers and fellow YouTube celebrities who condemned Paul’s actions. It further prompted petitioners to ask YouTube to delete Paul’s channel and stop working with him. Paul later apologized for the incident and even though YouTube had put several of his works on hold, thereby affecting his income which was said to be in millions, he donated a total of $1 million to a number of other suicide prevention agencies. As discussed above, Logan Paul has amassed quite a fortune ever since he dropped out of school to become a full-time YouTube/Internet personality. He was ranked as the 10th highest earners from ads on Vine in 2015 with an income said to be in hundreds of thousands of dollars. As of 2018, Paul is said to have an estimated net worth of $6 million. That figure will go high in the coming years as the actor is working towards a breakthrough in Hollywood while owning a clothing line that is said to be the toast of teenagers and young adults.